The appearance of a blue orb can have different meanings to individuals. Some people believe it is a spiritual message while others believe it is related to their fifth chakra or that it is a ghost. Orbs can range in size from small to large. Many people believe that a blue orb is an angel or spirit guide. The orb is considered a spiritual omen or form of communication. This blue orb theory embraces the messaging as one of spiritual guidance. Some people believe that spirit guides take on an orb form since it requires less energy output than a full-bodied apparition. Others are left wondering what a blue orb is. While it may be comforting to encounter a blue spirit guide orb, the interpretation of the blue orb meaning behind its appearance is relative to the individual and their circumstances. On a psychic level, there can be communication in various forms, such as mental imagery, emotional reactions and even telepathy. Some people simply interpret the presence of a blue orb as an encouragement and a sign that they are not alone. Seeing a blue orb is usually a positive experience with a feeling of reassurance and support. Blue has long been the color associated with the divine since the sky is blue and perceived as the gateway to heaven as being above the Earth. The message may be simple, such as "be at peace." Buddhism teaches that blue represents the pure mind. The message could be for you to calm your thoughts. If you don't meditate, then perhaps you're being asked to incorporate meditation in your daily routine. Another meaning may be for you to have greater faith and to trust you are following the right path. It is possible that the appearance of a blue orb is directly tied to your fifth chakra, the throat. This chakra is ruled by the vibration of blue. The throat chakra is the seat of communication, including listening. There can be several interpretations of messages directly related to your throat chakra. The orb's presence may mean you need to develop better communication and/or listening skills. If your throat chakra is blocked, then the appearance of the orb could be a sign that your throat chakra is beginning to open once more. If you have emotions or ideas you need to express, the message could be that it is time to release. Some people theorize that a blue orb is a ghost. The blue color radiates from calm and benevolent spirits. This type of encounter is considered as someone the person who is seeing the orb knew, such as a caring and loving parent. However, it can also be that of a pure spirit, such as a child. A light blue orb conveys a message and/or emotion of peace, calmness and even tranquility. A medium blue orb may be present as a sign of spiritual protection, leading to a feeling of reassurance and safety. A dark blue orb is less common. It is sometimes interpreted as the orb of a spirit that survived turmoil and hardships through purity of spirit. 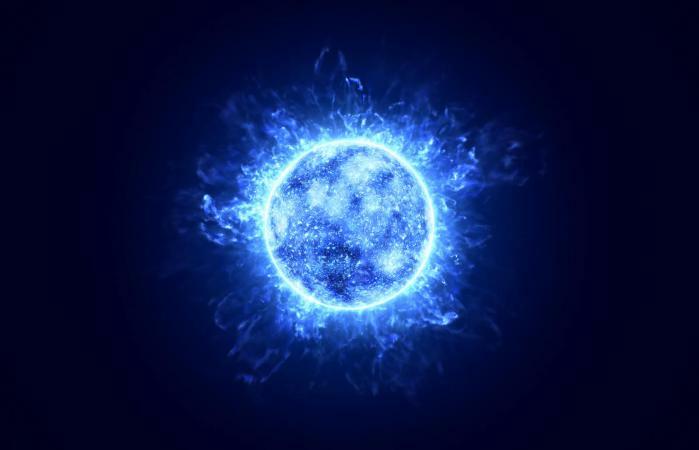 There are many theories and interpretations of a blue orb meaning. Ultimately, it is up to the individual to ascertain the meaning of such a personal encounter and visitation.